Characterized by soreness and pain triggered by movement, neck stiffness is a fairly common complaint. 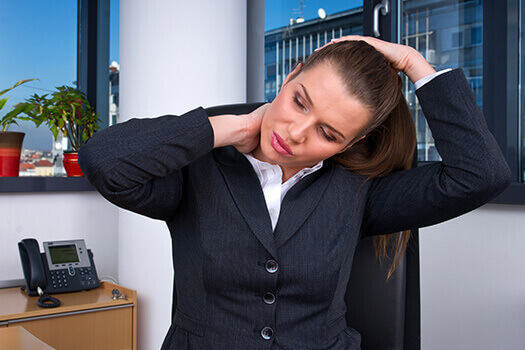 In most instances, this type of neck pain is a temporary inconvenience not related to a serious medical condition. Knowing what triggers to avoid, or at least when to check with your doctor or a reputable spine surgeon Santa Monica patients can turn to, may minimize your experiences with neck stiffness. Here are 3 things that might be causing stiffness in your neck. Treatment for neck stiffness is often as simple as taking a few days to rest and allow the injured tissues time to heal. You may also benefit from gentle side-to-side stretches, the use of heat or ice, anti-inflammatory medications, and paying attention to posture and sleep positions. For more severe pain, you may want to inquire about spinal fusion surgery or other minimally invasive alternatives. If your neck pain has become too difficult to manage, reach out to Dr. Hyun Bae at The Spine Institute Center. Dr. Bae specializes in fusion procedures like spinal decompression. Santa Monica patients trust in the expert surgeons at The Spine Institute. Call 310-828-7757 to schedule an appointment and find out why.